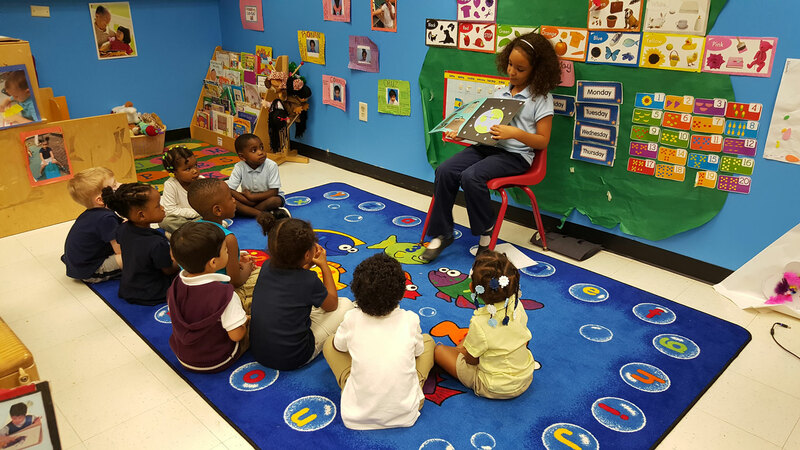 About Us - Scottdale Early Learning, Inc.
Scottdale Early Learning, Inc. is a NAEYC accredited, high quality early care and education organization serving young children ages 6 weeks to 5 years. We are widely recognized as a leader in metropolitan Atlanta in providing family supportive early care and education. We pride ourselves on having an experienced and well educated staff with long term teachers in place. In addition, we are actively involved in training program providers and advocating on behalf of early education throughout the state of Georgia. Selected as a lead agency for the United Way Opportunity Zone Scottdale/ Clarkston area. Awarded national accreditation by National Association for the Education of Young Children (NAEYC.) Only 8% of all early learning programs have met and received the criteria for this accreditation. We are a Quality Rated center, which is designated by Bright from the Start, Georgia Department of Early Care and Learning. Our spacious state-of-the-art open facility offers three separate age appropriate outdoor playgrounds. Recent program evaluations show that 98% of Scottdale’s zero to three population met all 32 milestones required for this age group and 100% of children with developmental delays received referrals for services to address the delays. In DeKalb County, only fifty-nine percent (59%) of low income families were enrolled in the statewide Pre-K program. Also, seventy-one percent (71%) of Georgia’s 4th graders were reading “below proficiency” according to state and national standardized tests. As a 501(c) 3 nonprofit, Scottdale is committed to providing access to affordable high quality early care education to low and moderate income families. We offer a limited number of partial scholarships to eligible families and partner with local agencies to provide additional resources to those in need.